Winner of the "Best DIY Platform" in the 2015 Designer Toy Awards! Description – Train is a half-car model, sold with all the special connectors to hang and display. You can also use the special included pegs to attach 2 train halves together to make a "whole car". Comes packaged in a unique DIY window box that you can also decorate. 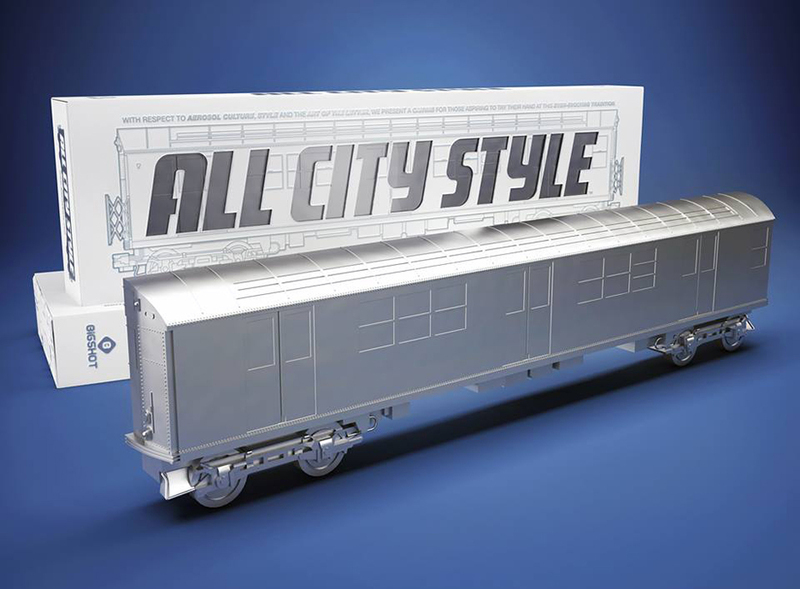 Click here to buy blank All City Style trains.